Be aware that in spring and early summer, birds are attempting to breed. It is the time of year to enjoy the activity of breeding including courtship and display, nest building and feeding young. It is a time to marvel at the efforts being made by our feathered friends to raise their young but from the latest RSPB national surveys a lot of even our common birds are in decline. You can help. 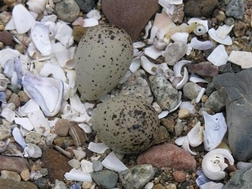 If you are walking in the remoter parts of the island and a bird suddenly appears in the air or on the surface of a loch, be aware that there may be a nest on the ground near by. Your presence has put the bird off its nest and the eggs or young are exposed to predators like gulls and crows. Move away promptly. On our shores and beaches, if you are being scolded by flying birds and there is a great racket all around, be aware that birds are nesting on the ground above the tide line. Alternatively birds calling in a distressed way or feigning a broken wing are trying to lead you away from a nest or young which are close by. Their eggs and young are superbly camouflaged to avoid detection and may be easily trampled upon. Again move away. Walk close to the water’s edge. Keep your dog on its lead. 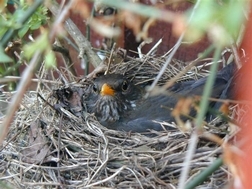 Closer to home, be aware that birds may be nesting in your hedges and bushes and cutting these could expose the nests to predators. Check before you even trim. House Martins and Swallows travel thousands of miles in some cases from South Africa to nest on our buildings. 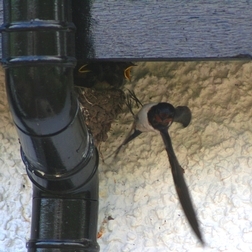 Taking a hose to remove their accumulating droppings below their nests may be a good idea but be aware that taking a hose to a nest even when it is being constructed is an offence. 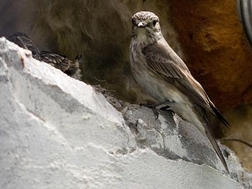 Be aware that under the Nature Conservation (Scotland) Act 2004 it is a criminalto intentionally or recklessly damage or destroy the nest of any wild bird while it is being built or used. 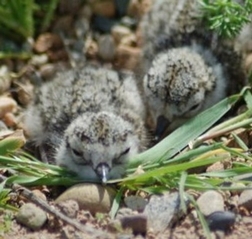 If you notice any disturbance to nesting birds please report it to the local police as soon as possible.